The Department of Defense advises all discharged personnel to file a copy of their DD-214 with their local public Hall of Records. This is a good idea. However, because veterans change city of residence over the years, families either forget or are never told about a veteran's DD-214 location... that is, if the veteran took time to file his DD-214 with a local public office. Currently, there is only one national agency, The G.I. Photograph Museum, where you can permanently archive an electronic copy of your DD-214. You are not required to become a member of The Museum and there is no charge to any veteran or family member to place an electronic DD-214 copy in The Museum. Also, you do not need a scanner to prepare your copy. Scanning is performed by The Museum for free. Your posted DD-214 will be publicly accessible for downloading. You or a family member may then instruct any agency, individual or veterans organization requesting a copy of your DD-214 to download it from The Photograph Museum. 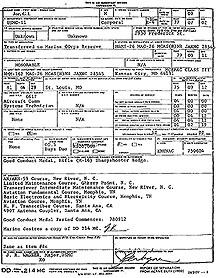 Should a copy of your DD-214 be needed by your survivors or descendants, for legal, VA or personal reasons, they can quickly obtain it from The Museum 24 hours/day. For personal security purposes, the last four digits of your Social Security number will be deleted. Also, a perpetual log is maintained on all downloads so that The Museum can identify when your DD-214 is acquired and by whom. Using white paper make a clean photocopy of your DD-214. Upon receiving your DD-214 for posting it will be scanned (no cost to you) and posted in The Museum. You may then instruct anyone requesting a copy of your DD-214 to obtain it from The Museum.